*NEW PRICE* Attention RVer's & Car Enthusiasts! Spring Lake Area beautiful 3.2 acres located at the end of a private road with hilltop views of cattle and tree farms. 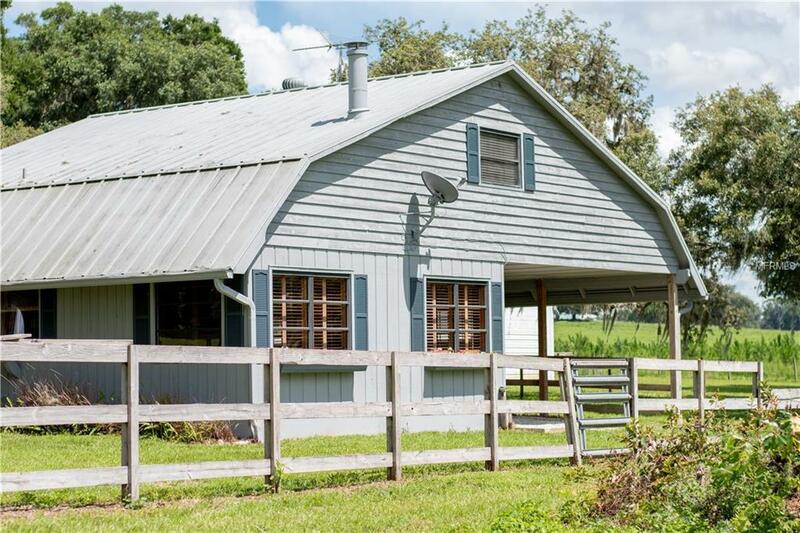 This property offers 3 large buildings all featuring Metal Roofs, Concrete Slabs and New Exterior Paint: 1) RV garage 46 x 19 with water, 50 amp electric service and a 13 x 12 Pull up door. 2) Workshop with full bath 27 X 22 with roll up panel door and service door. 3) 4 car huge garage 47 X 29 with electric, two roll up panel doors and a service door. Two story 2 Bedroom 1 Bath Cottage Style house needs your special touch to call it home. Offering New Exterior Paint, Plantation shutters, wood burning stove and an attached 4 car carport. If you have a lot of toys and want a lot of space this is your perfect place.